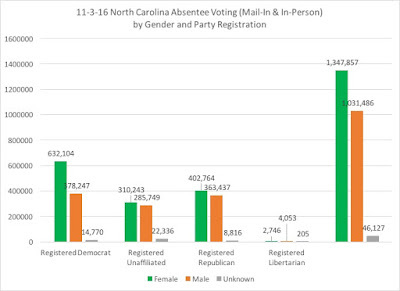 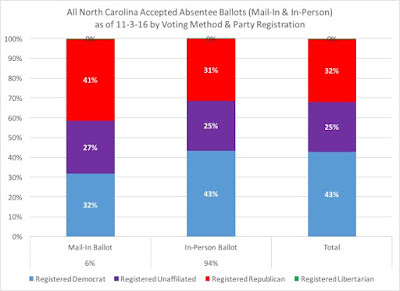 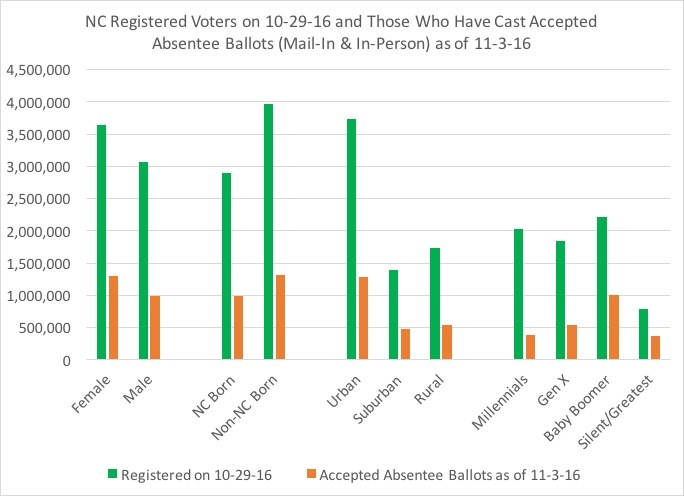 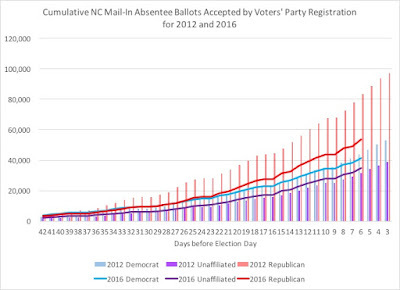 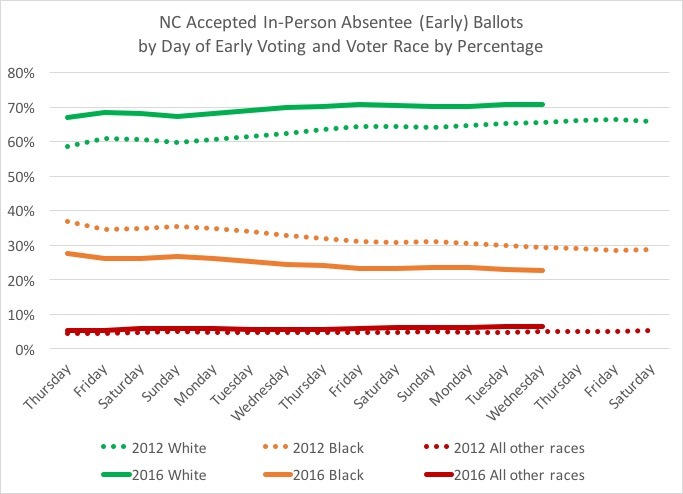 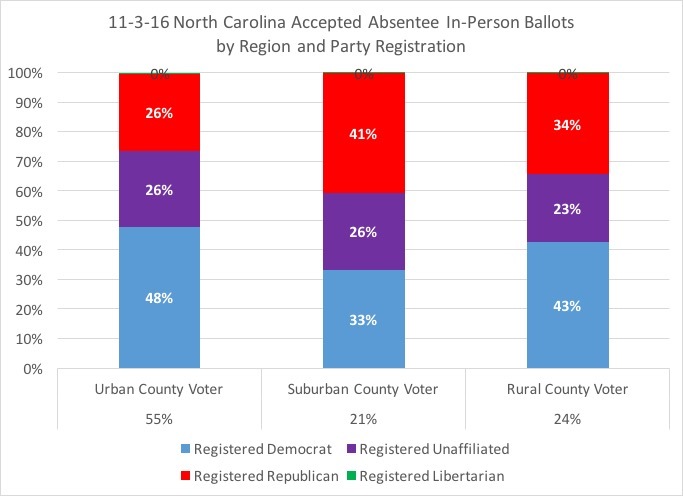 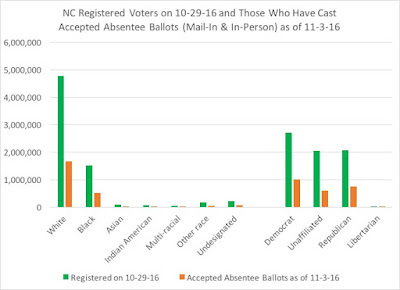 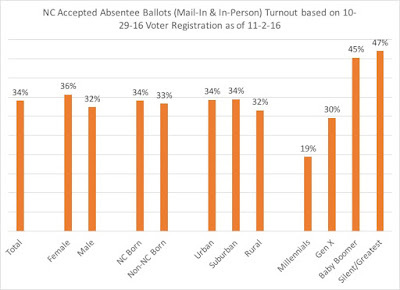 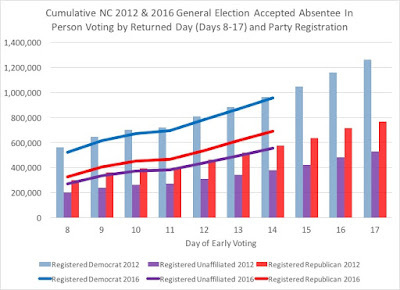 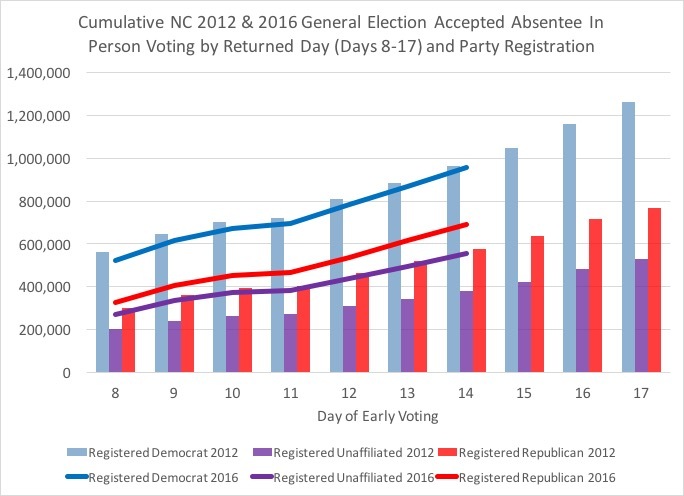 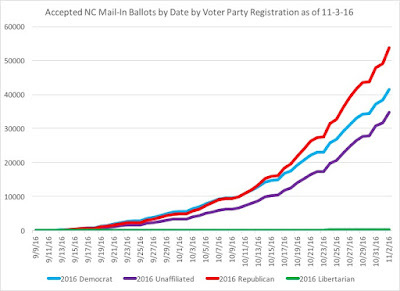 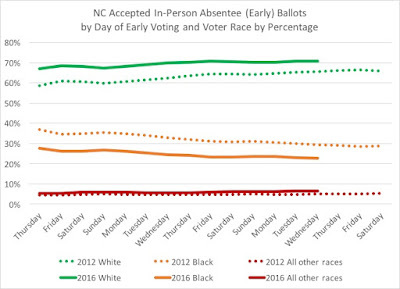 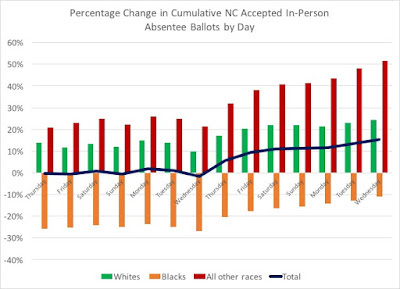 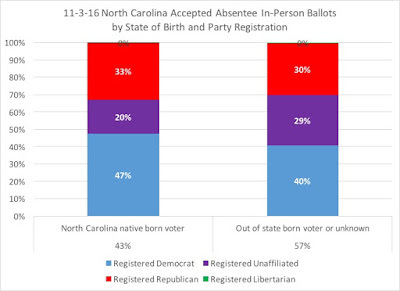 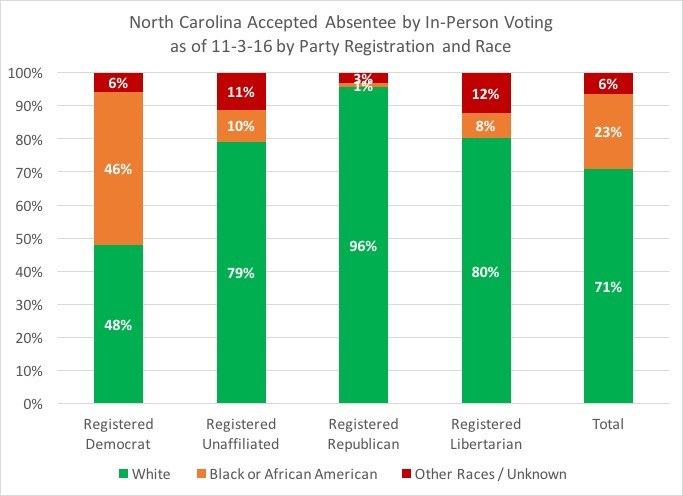 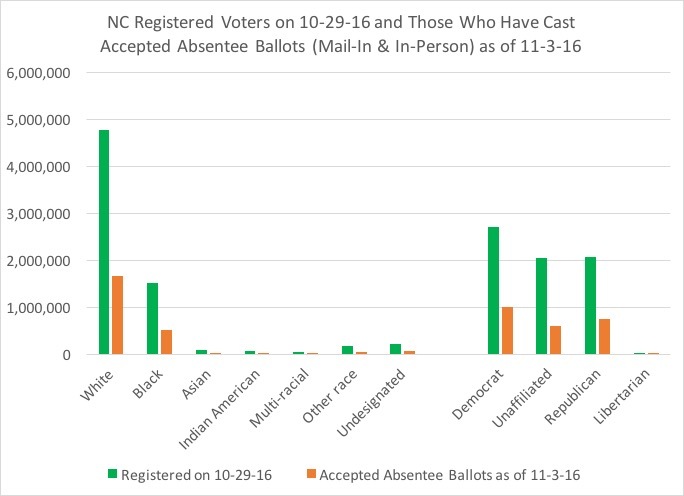 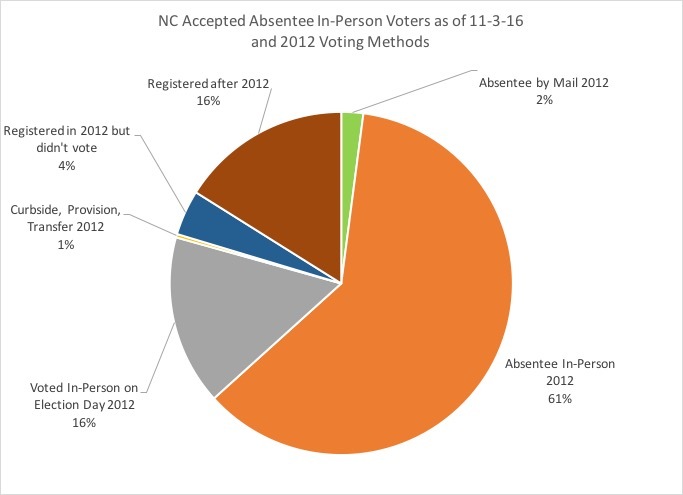 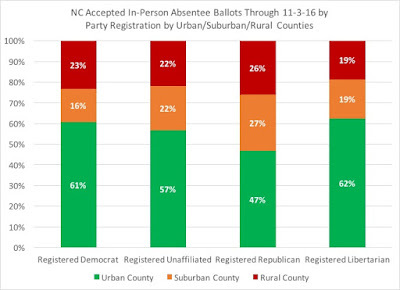 With the third largest number of ballots coming in (227,100) yesterday, North Carolina's absentee balloting continues to move ahead of where things stood four years ago on this same day, as the state nears the end of early voting (absentee by in-person) that concludes on Saturday before Tuesday's general election. 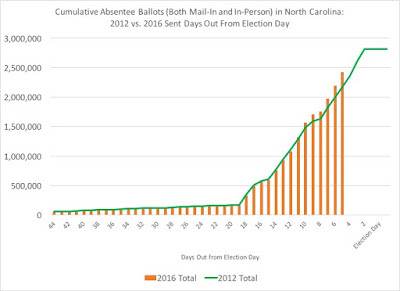 This total ballot number represents an 11.1 percent increase over the same day totals from 2012's absentee voting period. The total absentee ballot's party break-down is: 42 percent from registered Democrats, 32 percent from registered Republicans, and 25 percent from registered unaffiliated voters. 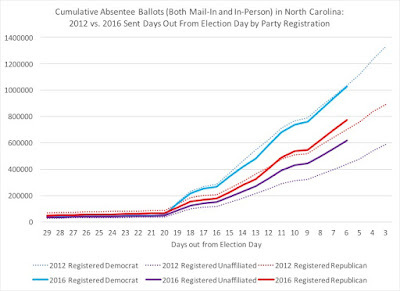 What is notable is that with three days to go for in-person absentee balloting, registered Democrats have just about caught up to their cumulative 2012 numbers, down only 0.8 percent. 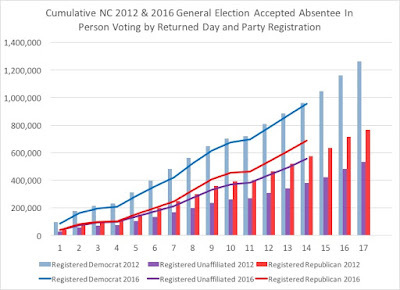 Registered Republicans are well ahead of their 2012 numbers, up 11.1 percent, but the truly remarkable line on the above chart is from registered unaffiliated voters: up 42 percent from the same day totals in 2012. 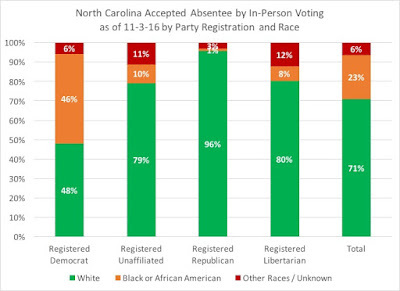 That's your wildcard for the 2016 election so far. Among the racial composition of all absentee ballots, white registered voters continue to be 72 percent of the ballots, with black voters at 22 percent. 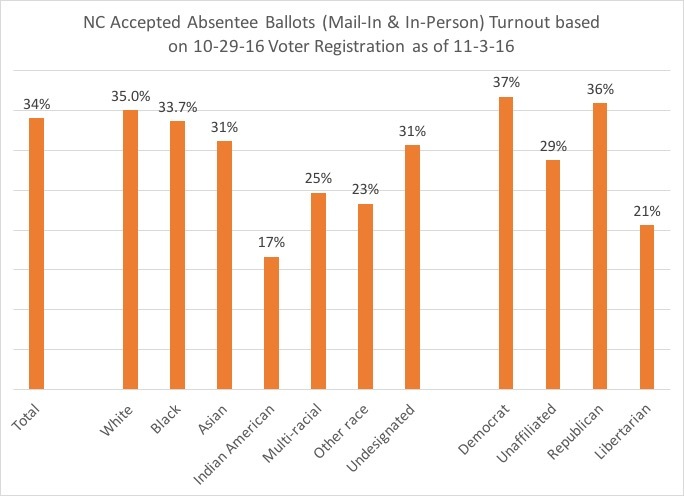 However, black voters have been a higher daily percentage of the ballots, trending between 27 and 28 percent of the ballots. 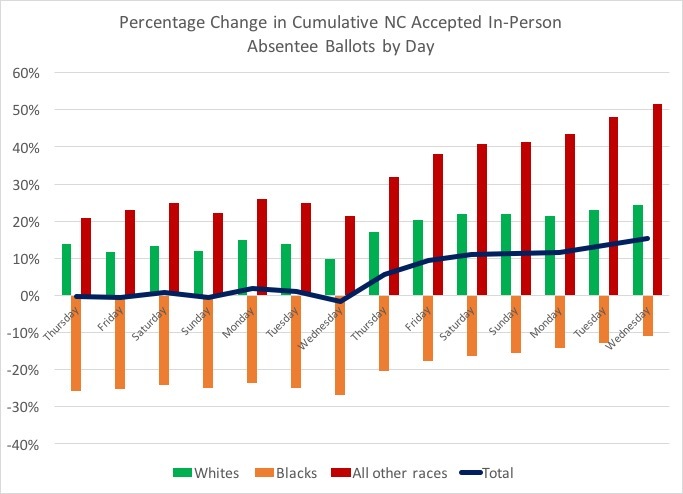 All other races are now at 7 percent of the total. 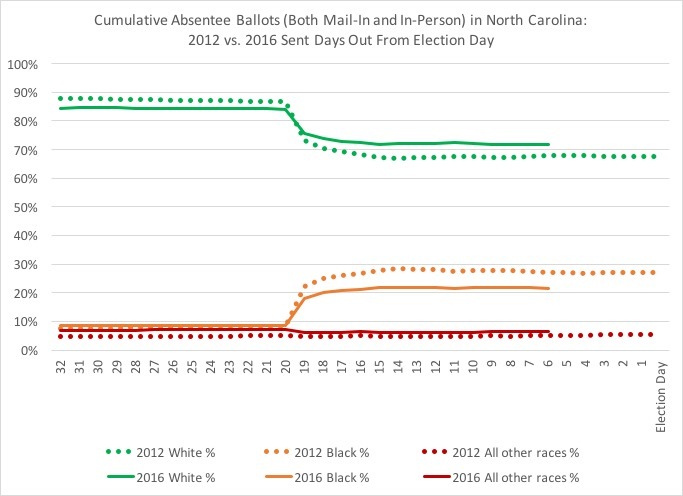 White voters are 18 percent ahead of their same-day cumulative totals from 2012, while black voters continue to make up their deficit so far in comparison to four years ago, down now 11 percent (it was 17 percent down last Friday). 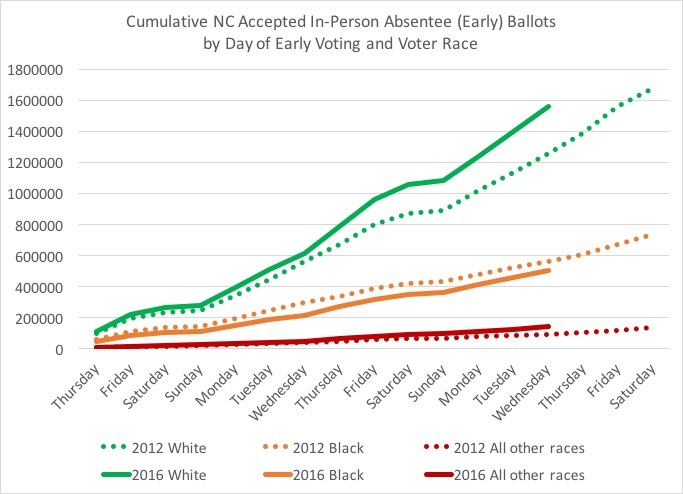 All other races combined are up 48 percent from the 2012 same day totals. 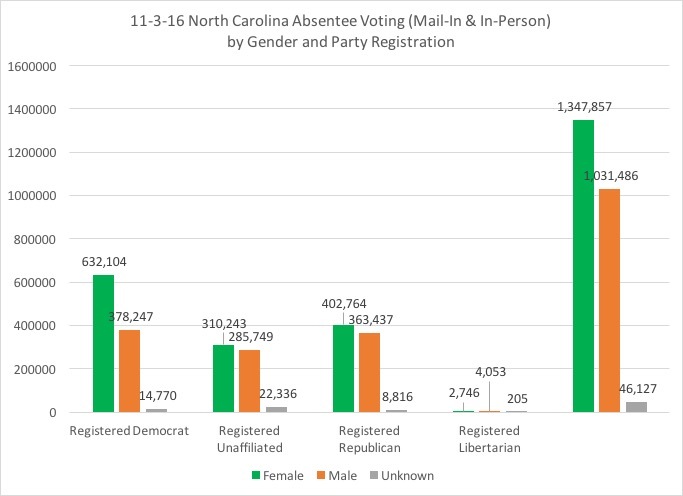 Female voters are 47 percent registered Democrats, 30 percent registered Republicans, and 23 percent registered unaffiliated, while male voters are 37 percent Democratic, 35 percent Republican, and 28 percent unaffiliated. 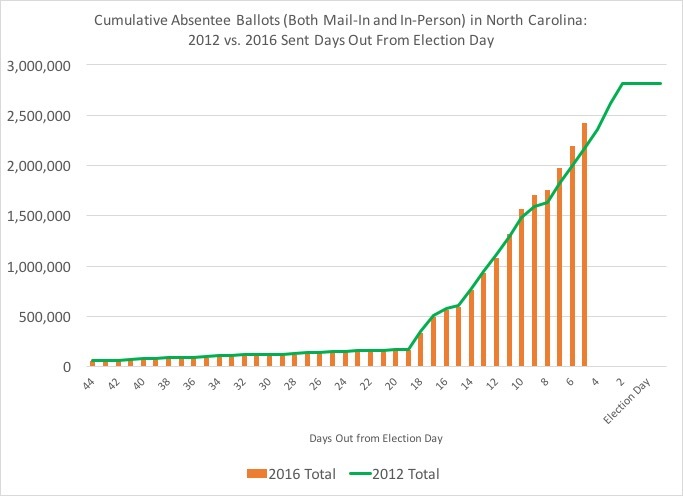 Accepted ballots, from both mail-in and in-person delivery, stands at 2.3 million, or 96 percent of the total absentee ballots. 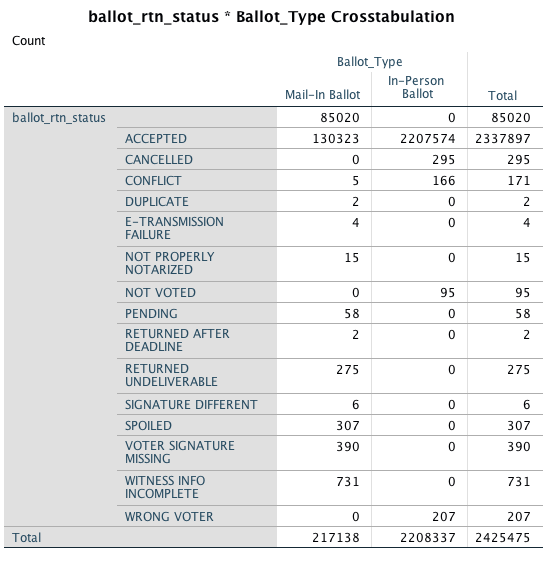 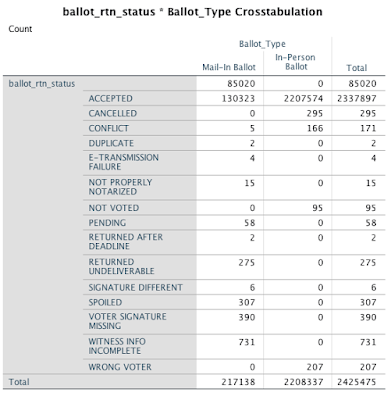 Of these 2.3 million accepted ballots, 94 percent are coming from in-person ballots. 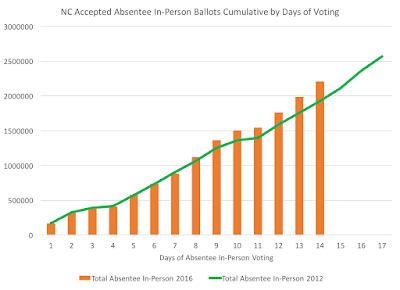 The daily comparisons to 2012's cumulative totals for accepted in-person absentee ballots shows that registered Democrats are 43 percent, registered Republicans are 31 percent, and registered unaffiliated voters are 25 percent. 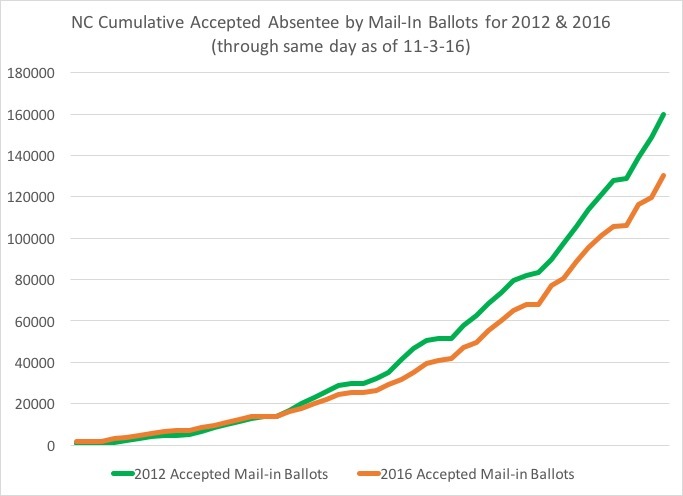 Overall, the total accepted in-person absentee ballots are running 15 percent ahead, continuing to build up. 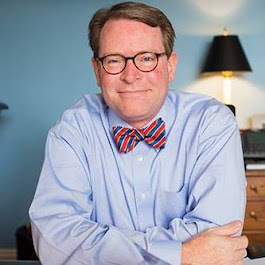 Registered Democrats are now only one percent behind their 2012 total numbers from the same day in 2012, while registered Republicans are 20 percent ahead of their numbers and registered unaffiliated voters are 46 percent ahead, continuing to increase their percentages. 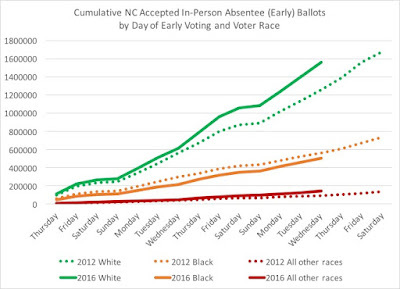 Currently, white voters are 24 percent ahead of their 2012 same-day cumulative totals, while black voters are down 11 percent and all other races combined are up 52 percent. Black voters are making steady headway in eating into their deficit compared to 2012, but with three days to go, the question will be can they make up more ground, or does the Clinton campaign shift its ground game strategy to getting more black voters to show up on Election Day, something that in 2012 black voters did not do necessarily. In looking at the voters who have cast accepted in-person absentee ballots so far, over 60 percent of them used the same method four years, but 16 percent voted on Election Day in 2012 and another 16 percent were registered after the 2012 election. 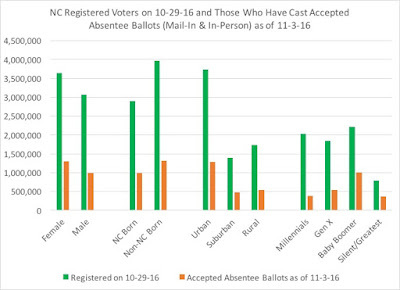 Urban voters continue to dominate the accepted in-person ballots. New North Carolinians to the state (not born in NC) continue to dominate. And in comparison to their previous days' percentages, Millennial voters (under 35 years old) have ticked up to 17 percent of the total accepted in-person absentee ballots, while Baby Boomers have dropped from around 46 percent to 43 percent. 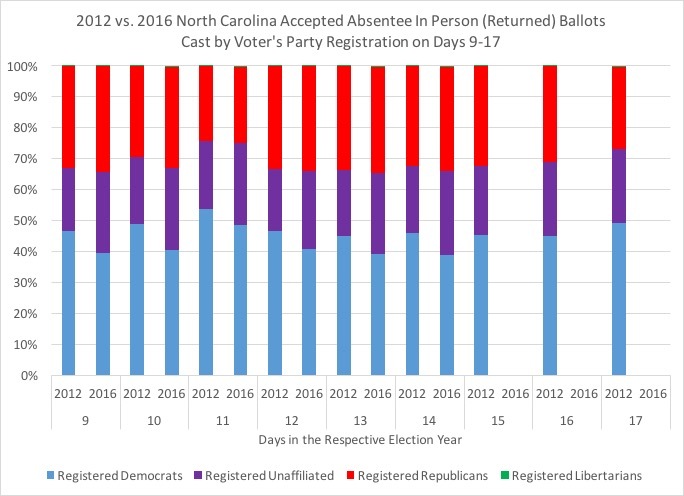 As we are nearing the end of the 'early' voting period (in-person absentee voting method), I decided to look and see where different groups are currently at in terms of their voter registration numbers from 10-29-16. 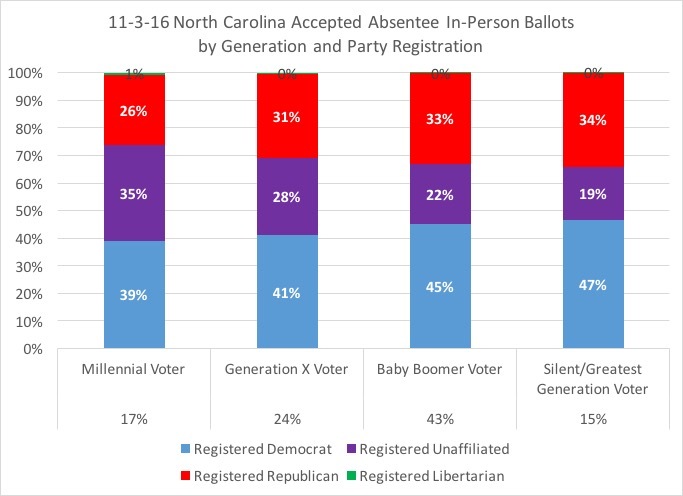 Two sets of charts following: the first being by race and party registration, comparing the registration numbers to the numbers of accepted in-person absentee ballots cast so far and their percentages of 'turnout,' and the second being by gender, natives, region, and generation, with the same approach. 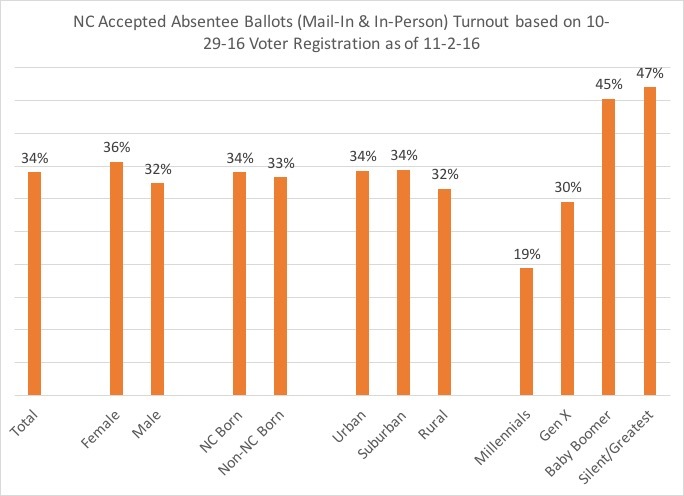 If we expect that we have seen nearly half of the ballots cast so far as we did in 2012 total (4.5 million), these turnout rates give us a sense of who has shown up and what potential other groups may have to show up and cast ballots. 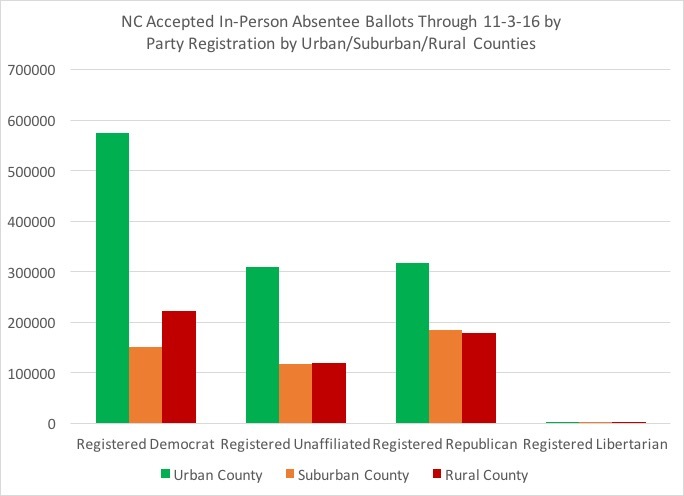 While it's not surprising that Democrats are seeing the vast majority of their accepted in-person ballots come from urban areas, 57 percent of unaffiliated voters are in urban counties and 47 percent (a plurality) of registered Republicans are from urban counties. 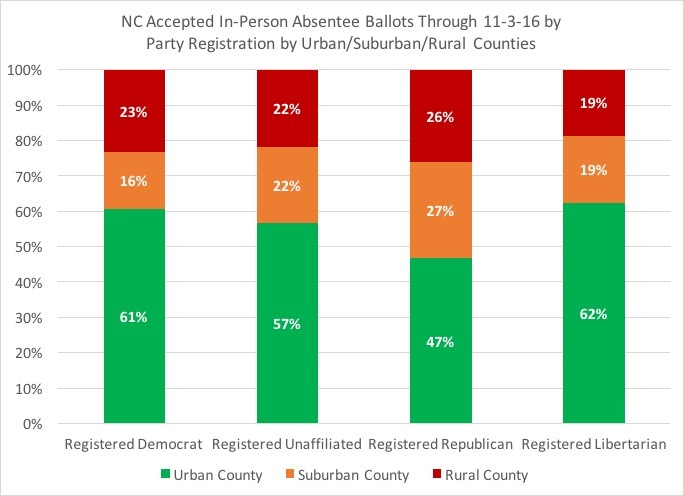 One key aspect of North Carolina's political environment has been, and will continue to be, the urban-rural divide, and this trend may indicate support for various candidates coming from different regions, but it is very hard to extrapolate specific support for a presidential candidate from these numbers--general observations is needed with this data. 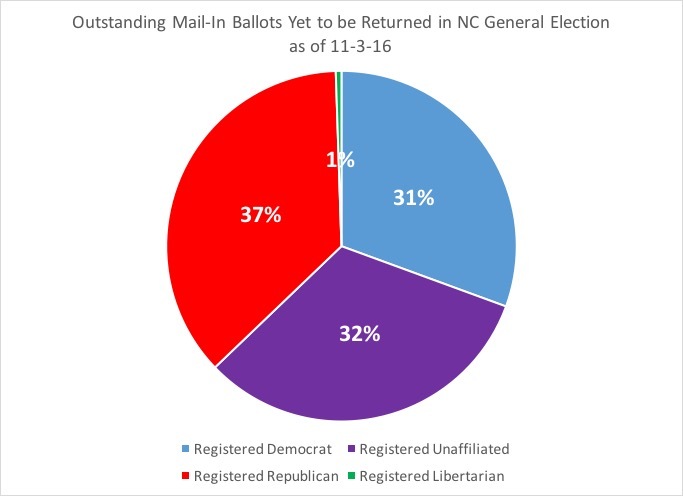 In comparison to 2012's returned and accepted mail-in ballots on this same day, 2016's numbers are currently 82 percent of where they were four years ago. Of the 130,000 returned and accepted mail-in ballots, the party registration break-down is 41 percent registered Republicans, 32 percent registered Democrats, and 27 percent registered unaffiliated. 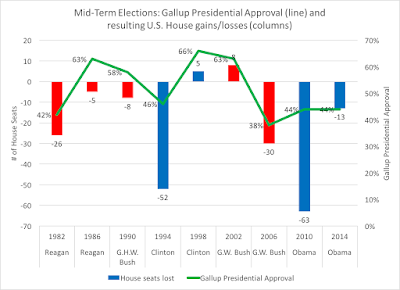 However, deficits are still quite large among registered Republicans utilizing this method this year: currently, they are at 64 percent of where they were four years ago this same day. 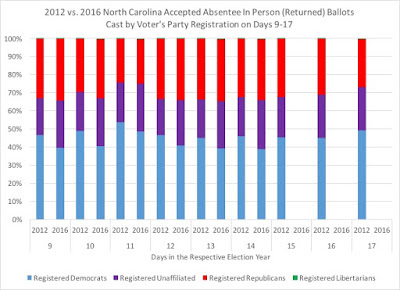 Registered Democrats are at 94 percent of their same-day totals four years ago, and unaffiliated voters are at 109 percent of their totals from four years ago. 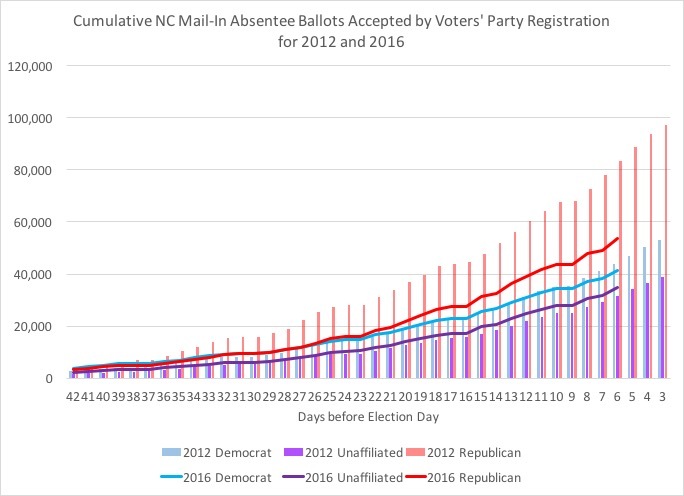 Thanks for reading through this election cycle. 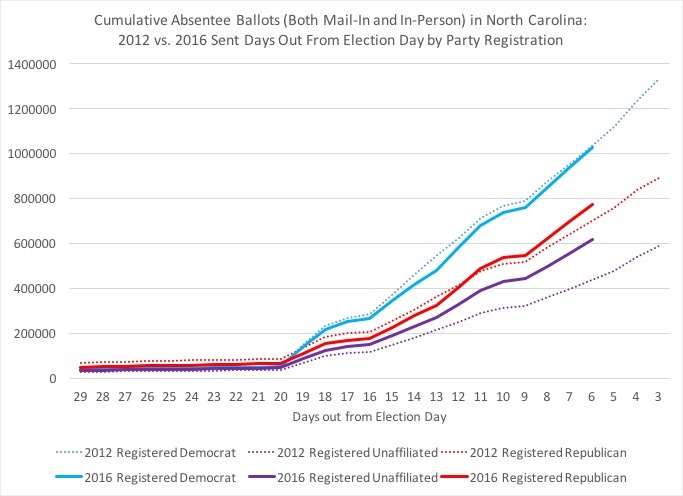 The end is nigh!